The fund will allow me to record an exciting new album; Nick Russoniello and the Golden Age. 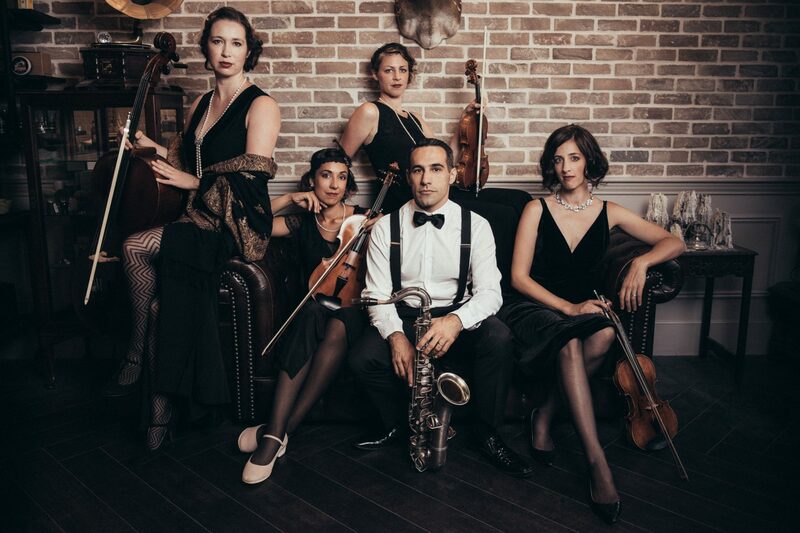 For this album I will team up with specialist historical ensemble the Golden Age Quartet and breathe new life into a rare original 1920s C-melody saxophone. 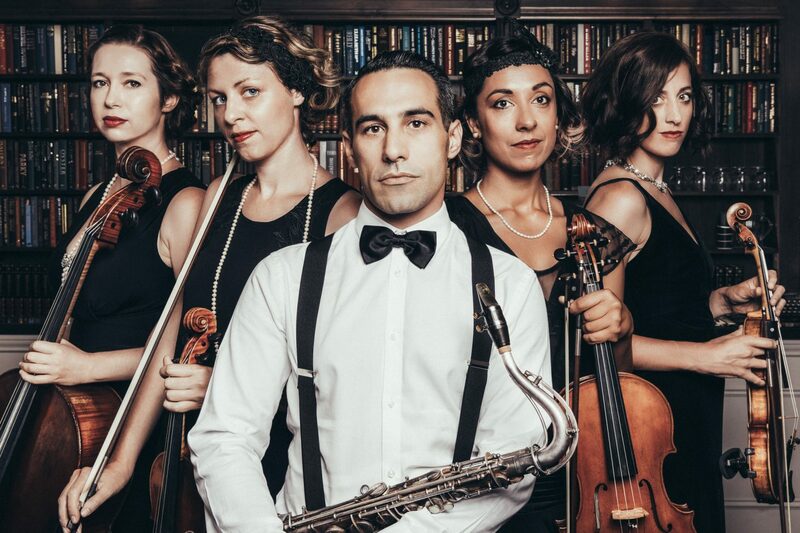 Singing, swinging and soaring; this album will both re-imagine a forgotten musical language and present new Australian sounds; setting original music alongside alongside classics by Wiedoeft, Gershwin, Chaplin and Schullhoff. This project represents an innovative direction in the classical music landscape, fusing new music with historically informed performance. Following on from a successful debut solo album, it is important for me to continue to connect with my growing audience base. Recording is expensive but continuing to release high quality material is the only way to maintain a presence in the fiercely competitive classical music scene. With the album recorded I can distribute my work to audiences and have a means to pitch this unique concept to key festivals and music organisations in Australia and abroad. Risk-taking artistic projects cannot go ahead without financial assistance, and the $15,000 goal for this fund ensures that this project can be brought to fruition and shared with the world. Donations will be used to fund artists fees, recording costs, editing, mixing, licensing, artwork, CD/LP pressing and help us to present concerts in as many locations as we can. Nick Russoniello has been the recipient of the prestigious ABC Symphony Australia Young Performer of the Year and the Fine Music Kruger Scholarship. Nick has appeared as a soloist with the Adelaide, Queensland, Melbourne and Sydney Symphony Orchestras and as a guest performer with the Acacia Quartet, Omega Ensemble, Australian Opera Ballet Orchestra and the Australian World Orchestra. Nick’s compositions have been performed around the globe and his performances can be regularly heard on ABC Classic FM and Fine Music 102.5. Nick is a Yamaha Australia artist. 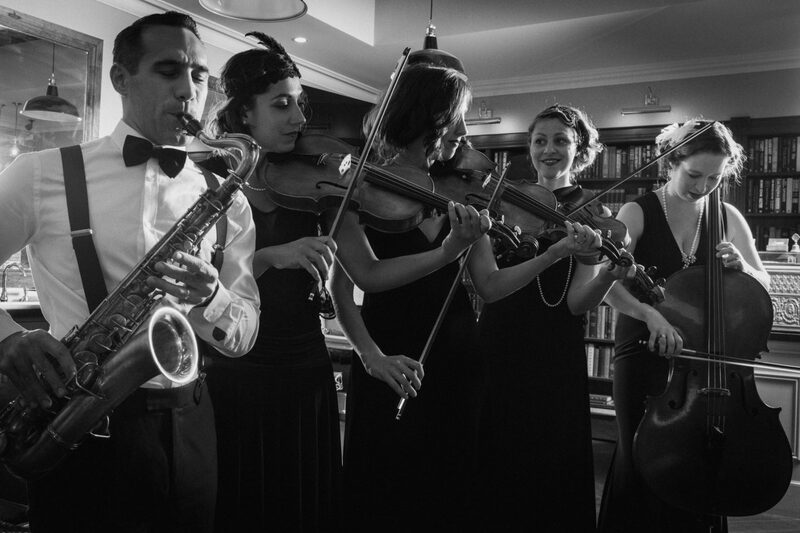 The Golden Age Quartet is a new and innovative chamber ensemble, delivering research-led performances that explore the aesthetic of a bygone era. 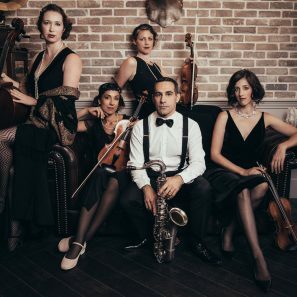 Formed to explore the sound world of the early twentieth century, this quartet plays on a mixture of modern and period strings and in a style reminiscent of early twentieth century ensembles: the Marjorie Hayward and London String Quartets. The players share a passion for creative and expressive performance and have individually performed in some of the world’s elite ensembles including the Mannheimer Phiharmoniker, Australian Brandenburg Orchestra, Academy of St Martins in The Field, The Australian Romantic and Classical Orchestra. We’re so excited that we reached our initial target! We’ve decided to extended our project to include some concerts. Further donations will help us bring this project to as many places as we can!